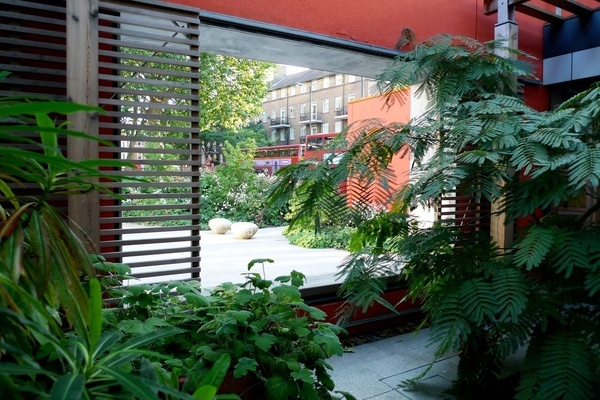 RIBA award-winning space designed to be welcoming and uplifting. The raised roof allows natural light to enter the whole of the building. Partitions divide up the open structure, placing the kitchen at the heart of the building. 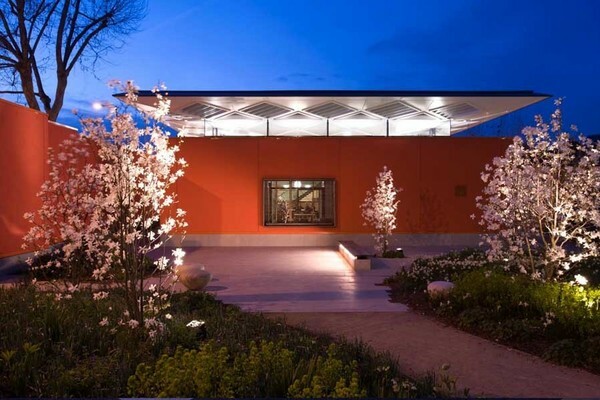 Maggie’s Centre offers support for people affected by cancer at any stage, be they patients, family members or friends. Their work is in complete support of conventional medical treatment. 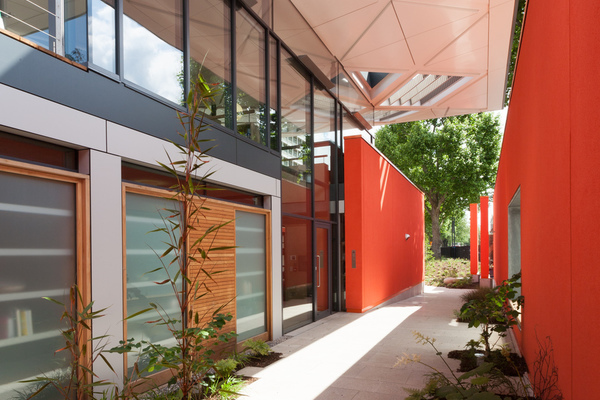 Maggie’s Centre West London, at Charing Cross Hospital in Hammersmith, is conceived to contrast with the main hospital building. It is a ‘non-institutional’ building, an ‘open house’ of 370 square metres, arranged over one and a half floors. It is both flexible and adaptable. It can be transparent or opaque, noisy or quiet, light or dark, with a kitchen at the heart of the structure. Rogers Stirk Harbour + Partners hopes to create something that is more than a house – more welcoming, more comfortable, more thought-provoking and more uplifting. The entrance is approached from within the hospital grounds. The building is made up of four components; a wall that wraps four sides, providing protection from its exposed location; the kitchen – a single-height central space which is the main focus and heat of the building; annexes off the main space, conceived as meeting, sitting and consulting rooms; and a ‘floating roof’ that oversails the outer wall and acts as the enclosure to the heart of the building. Small courtyards are formed between the building and the wall. The landscaping strategy knits together the existing hospital and the Maggie’s Centre. Wrapping the building with trees will filter the noise and pollution of the surroundings whilst provide a leafy backdrop from the inside. Richard Rogers is best known for such pioneering buildings as the Centre Pompidou, Lloyd's of London and the Millennium Dome. His practice, founded in 1977, has offices in London, Barcelona, Madrid and Tokyo, and has recently completed Barajas Airport, Madrid and the National Assembly for Wales in Cardiff.